This book is truly a gem for those who feel the urge to pour out their heart but don’t know the right kind of words. As the tag line suggests, hidden stories are indeed found in-depth and Fakhruddin Ukani manages to surface those exact emotions with his words. The blurb tells you exactly what to expect and the cover is mesmerizing. The book is compilation of poems on various topics; love, madness, loneliness, hope, and healing, are just a few to name. The book takes you on an emotional ride which has sharp curves and steep inclines but also calmness of heart. 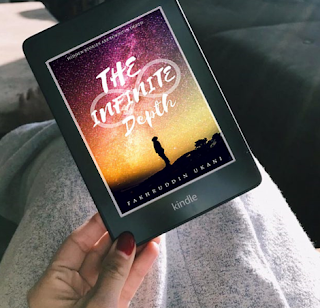 Mark your calendars busy for the weekend, grab a copy of The Infinite Depth and have an amazing weekend.